Home Staging Tips by Anita Richardson, Expert Home Stager. A ) How big an impact does Home staging have on a home sale? It's generally accepted that professional aspects of Home Staging will sell a property 10% faster and for 10% more than it would have sold if it had not been staged. 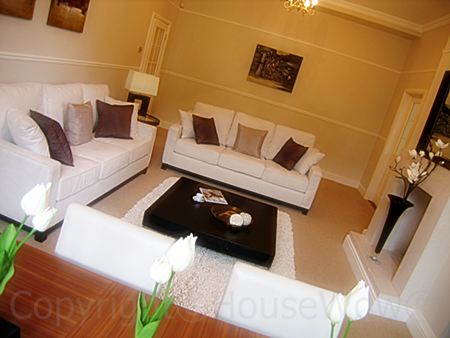 After Home Staging I sold a recent property marketed at £180k for £200k. Within one week of marketing 4 buyers had put in an offer at the asking price and the sale went to sealed bids. The valuable aspect of this high level of interest is that buyers are motivated to complete quickly as they know there will be competition if they waver. 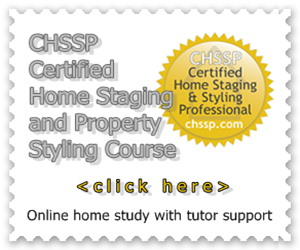 B ) What are some easy Home Staging tips for those on a budget? 1) De-clutter - as if you had an imminent date to move - clear anything that's old, tired or not needed. We urge recycling and using charity shops or second hand auction web sites to move things on that are not rubbish but no longer needed. 2) Look at your house with new eyes. Take photos and look at them. Are you surprised at what people will see? You need to do something about it and create a home that buyers will be excited to make an offer on! 3) Focused room usage. If a bedroom became a storage space over the years then it needs to be reverted to a bedroom. A Home Study in a 4 bedroom house is acceptable but a 3 bedroom house needs to show itself as a potential family home. Try to get a sofa bed in there at the very least. 4) Style appropriately. Styling for each property needs to be suitable for the property type and local market. A cottage will need a different style to a City apartment and so on. Country style, modern, period property or Manor House all need to show appropriate life style appeal. 5) Maximise space. A huge coffee table for instance that makes the room look small needs to go or be changed for a small coffee table. Glass or acrylic coffee tables will allow the light to pass through and give the impression that the viewers can see beyond. Similarly remove unnecessary furniture such as book cases from walls. If the buyer can see to the wall the space looks larger. 6) Colour Schemes. Neutral colour schemes with accent colours are usually the best option. "Keeping it totally neutral" is over-rated... it can look bland and boring! Neutral paint colours maybe, with a feature wall painted in a slightly darker shade. But create accent colours which are "gender neutral" such as teal or mocha with orange, or silver and chrome or pastel green, or copper and rust. 7) Lighting. It's crucial to have good hallway lighting, mood lighting in bedrooms, bedside lamps, study lights, standard lamps to cast light into dark corners and so on. 8) Lifestyle appeal. Lifestyle appeal is about creating a lifestyle that will appeal to the majority of potential buyers. Everyone aspires to improve what they currently have. Only fully set a table with place settings in a show home. In a lived-in home create a stylish table centre piece instead. Use quality artificial flowers or structural planting to bring the outside in. Master bedroom, kitchens and living areas are key spaces to style well. Leave a bottle of wine out in the kitchen with a couple of large wine glasses. Add smart accessories such as colour co-ordinated scatter cushions, rugs and ornaments in the lounge. Consider low cost art work canvases to add a splash of colour and mirrors to reflect more light. Clean the home thoroughly, attend to repairs and freshen paintwork if necessary. 9) Outside living space. Create kerb appeal and an outdoor living space with a tidy garden and patio furniture. Clean decking and paving. Weed and clear debris. Have trees and shrubs pruned to increase light and the size of your outdoor space. C) What are some staging tips for those looking to sell quickly? 1) Always stage before marketing and don't attempt to test the market first. By the time you've decided to stage the property it will be 'stale" and those early motivated buyers will not return for a second look. 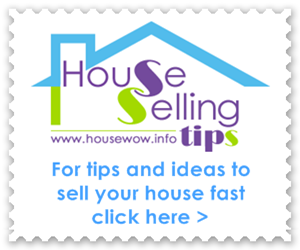 2) Do your research to decide on a realistic selling price for your property. If you over-price then the motivated savvy buyer may stay away. Get 3 Estate Agent quotes but do your own research too. 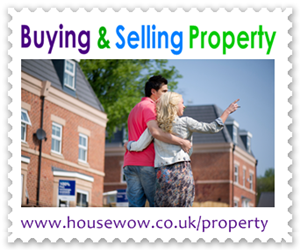 Local property which you see online may be priced high but may not have sold in over 6 months. Check actual selling prices of local property at the Land Registry online or on one of the large property portals such as Rightmove or Zoopla. Check archived online photos of the property for an overview. Check your local property competition asking prices and presentation, but be realistic with your own pricing. 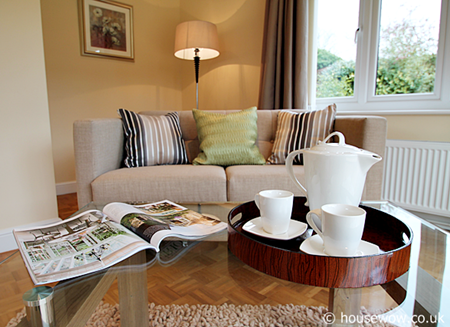 Home Staging essentials - De-clutter, style, maximise space and light but keep a homely, warm living space. 3) De-clutter ready to move. Imagine whether you want to take these items with you to the next house? If not move them on now. Smarten - which usually means reduce your accessories. Tidy wardrobes and cupboards. 4) Kerb appeal and garden appeal. It's time to clean the doorway, polish and paint the door if necessary - remember the viewers will stand here for a few moments taking in first impressions. 5) Kitchens and bathrooms. Clean and sparkling. Store excess items away from kitchen worktops. New white or pastel coloured towels for bathrooms. 6) Master bedrooms. Create a Hotel like appeal with new bedding, fluffy duvets and pillows. Avoid the flat as a pancake look! 7) Lighting. Turn lights on for viewings, especially mood lights and bedside lamps. 8) De-personalise. Remove family photos to keep viewers focussed on the property and imagining that it could be their own home. Pack family photos away temporarily. 9) Open up the space. Imagine the one best marketing photo of each room as taken from the doorway towards the window. Remove "obstacles" which obstruct viewers seeing the view from the window or the size of the room. Change layout if necessary to create the most spacious look. This is vital to selling your home faster and for the best selling price so it's well worth the effort. D) What should stay in the home, and what should be removed/placed in storage? 1) Keep items of lifestyle appeal, smart accessories, good furniture, lighting and quality bedding. 2) Store excess toys, personal family canvas pictures and photos, personal collections such as your "Star Wars memorabilia", old keepsake furniture such as Granny's over-sized sideboard. Remove pet bowls. 3) Send pets to family or friends before the viewings.